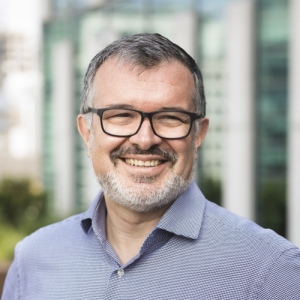 Jean-Christophe (JC) Conti is currently the CEO of VIOOH, the OOH platform automating the out of home (OOH) industry and enabling programmatic trading for media owners and buyers. In this role, JC is responsible for the platform’s global roll out, accelerating its go to market on both demand and supply sides of the ecosystem. Previously JC was VP in charge of Publisher Business Unit for EMEA at AppNexus from 2014 to 2017. In his role, he was in charge of the Go to Market and development of AppNexus Publisher and supply side businesses. Jean-Christophe and his team have been driving a significant growth for AppNexus in the EMEA region, signing many strategic Ad tech Display and Video partnerships, with leading publisher and media groups, Telcos and broadcasters such as Schibsted, Le Figaro, Prisa, Lagardère, De Piersgroup, Sanoma, TF1, Mail Online, eBay Europe… among others. Jean-Christophe also headed Yahoo Strategic Partnership Group in EMEA and in this role; he was responsible for all Yahoo strategic partnerships in Europe, ranging from search marketing business, content right management deals and Yahoo ad network partnerships in Europe. These positions included large multi-cultural team management, P&L responsibility and implied to deliver sustained revenue growth.